The New England Grassroots Environment Fund energizes and nurtures long-term civic engagement in local initiatives that create and maintain healthy, just, safe and sustainable communities using stories, tools and dollars to fuel local activism and social change. Since 1996, the Grassroots Fund’s core grant making program continues to fund nearly 150 grants annually, giving more than $4 million in 20 years to more than 2,000 community groups and initiatives covering more than 60 percent of New England’s cities and towns. For more information, please visit grassrootsfund.org or call 603-905-9915. 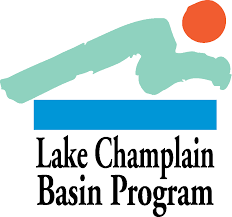 We have been awarded several grants for 2018 from The Lake Champlain Basin Program. LCBP works in partnership with government agencies from New York, Vermont, and Quebec, private organizations, local communities, and individuals to coordinate and fund efforts which benefit the Lake Champlain Basin’s water quality, fisheries, wetlands, wildlife, recreation, and cultural resources. Learn more or view our Management Plan.